My first thoughts when stepping on this 1990 Colvic Victor 34 Pilot House Ketch was that you get a lot of boat for the size. The deck layout is uncluttered and gives a sheltered helming position in a deep safe cockpit. The boat has had many upgrades, there is a new anchor windlass and some modern navigation equipment. Also on the boat are a number of lines ready to replace some of the older sheets and halyards. As you enter the pilot house you find a comfy seating area with a large bench and foldable table. As well as this there is an inside secondary helming position and a small, functionally galley. The current owner has also installed a Cool Box Stele fridge under one of the seats. Forward of the boat there are two further cabins. One with two single bunks and a large hanging locker and further forward a double forepeak berth. On the left is a large head with a Toilet and Wash Basin. There is a further separate hanging locker in the corridor. This boat would suit those looking for a stable cruising boat with a safe and comfortable cockpit. 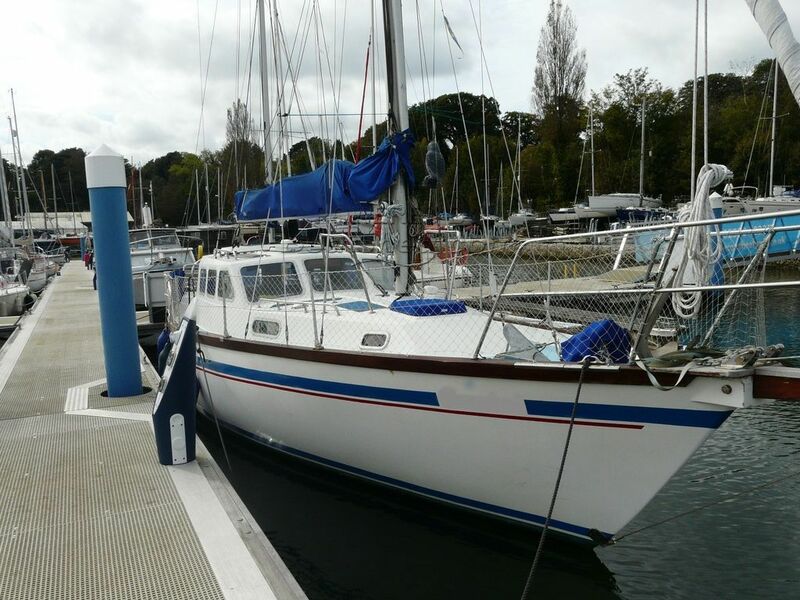 This Colvic Victor 34 has been personally photographed and viewed by Roger Drewery of Boatshed Hamble. Click here for contact details.